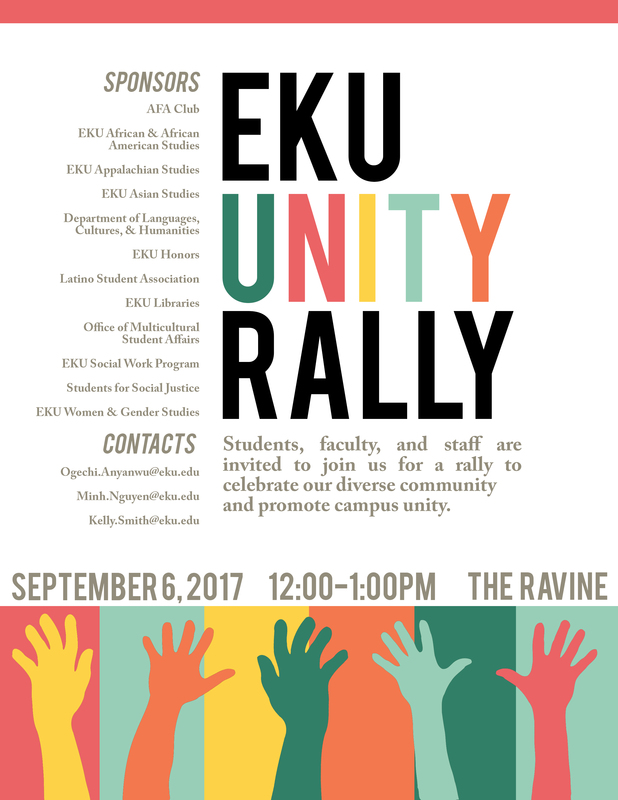 Students, faculty and staff are invited to join us for a rally to promote campus unity. Come hear members of the EKU community speak about their shared values, and get information about campus programs and groups that work hard to support our vibrant, diverse community. 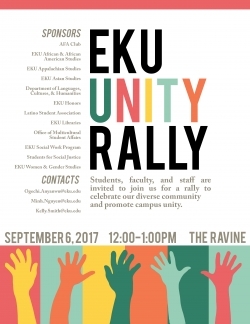 Sponsors: AFA Club, African & African American Studies, Appalachian Studies, Asian Studies, Department of Languages, Cultures & Humanities, EKU Honors, Latino Student Association, EKU Libraries, Office of Multicultural Affairs, Social Work Program, Students for Social Justice, and Women & Gender Studies.